Published: July 29, 2014 4:30 pm Updated: July 29, 2014 4:34 p.m. Nothing quite compares to snuggling up to a good book and escaping into its pages with your child. Then there are books you hide or sneak into your thrift shop donation box, hoping you’ll never have to read them again. We’ve all been there. Right now at our house, there is a library book about Goofy going sledding that is about to drive me insane, but my 2-year-old will have me read it to him at every opportunity. And I do because how can you say no to a child asking you to read to him or her? I let the kids pick books from the library at their pleasure, but I also enjoy picking them out myself. I love books written by Dr. Seuss, Jane Yolen, Mercer Mayer, Jan Brett and Karma Wilson. The “If You Give A Mouse a Cookie” and Skippyjon Jones series are great favorites at our house. “Goodnight Moon” and “Where the Wild Things Are” will always have a special place on our bookshelves. But outside of the classics of my childhood and today’s popular franchises, there are so many treasures we’ve found in the course of bringing bulging bags of books home after story time and spending the week exploring their pages. Poetry or prose, some books just resonate with me as a mother, and I could read them over and over again. Here is a list of 12 picture books I could read with my kids every day. This book is well-loved by all my children. The simple, welcoming illustrations and narration can be understood by a baby, but older kids love the mystery of the book and looking for the little chick’s parents, who can be glimpsed in the background. My kids love the illustrations, the hatching scene and the little chick’s happy ending. I have been reading and enjoying it as long as I’ve been a mother. I fell in love with this book at storytime at the library where it was read with such pizzaz, yelling and shouting that we brought it home with us that same day. Mr. McGreely has finally realized his dream of planting a garden, but three sneaky bunnies come by night and — muncha, muncha, muncha — eat all his hard work. This book is best read quickly with voices and mock-shouting and throwing yourself into the rhythm of the words. It is a blast to read. Dr. Seuss-like in its whimsy and word choices, almost every line in this book has 11 syllables and rhymes in couplets. I was a little surprised to see a book written by the musician, and after renewing this one to the limit at the library, I can say this book is just as good and clever as his songs. I love the messages this conveys to children — they can grow up to be whatever they want to be, and their imagination is the only limit. I have been known to lapse into singing Yankovic’s “Yoda” while I read this book because “I met him in the swamp down in Dagobah” also happens to have 11 syllables. Perfectly capturing the brown-to-green spring transformation, this book has fueled my kids’ love for our garden. It’s helped them understand the waiting game of gardening, and to appreciate the work we do there. Both the words and pictures are simple but expressive of the curiosity of childhood and the anticipation of spring. This is a southwestern, Spanglish-style version of "The Little Red Hen." I like to read this one with my “Nacho Libre” accent, and my kids love the tale of Iguana, her fiesta and her three friends who are too lazy to help. My kids are all about parties and piñatas, and what parent doesn’t love a lesson about helping? We gave this book to my husband two years ago for Father’s Day because it is a spot-on description for what kind of dad he is. Giving the kids horsey rides, swinging them high in the air, cooking a meal with them and comforting them in the night are a handful of the rites of passage in fatherhood, and ones that for me are remembered and savored. They are also things that, in the right moment, you watch happen as a mother and find your heart swelling until your eyes brim with tears. This is a story about a girl named Sophie who adopts a butternut squash as a best friend and names it Bernice. They go on adventures and make lots of memories until Bernice starts to get a little mushy. The ending is perfect. I love it because it reminds me that sometimes the best toys aren’t toys at all, and it reminds me of my own niece who had a similar friendship with a zucchini. This book is filled with simple, beautiful poetry that captures the wonder of a childhood spent in nature, playing, learning and observing. It was my sons' first exposure to poetry outright, and they enjoyed listening to it almost as much as I enjoyed reading it to them. More than 100-plus pages of this book are filled with beautiful mixed media art that enriches the poems, and after checking this one out from the library — and renewing it again and again — it is one of those books that I have to buy. A hilarious how-to book about how one can go about hosting a taco party for dragons because dragons really love tacos. My son requested tacos for dinner on his birthday last year and we read the book out loud to the kids beforehand — and you can bet those tacos were a hit. Funky and a little bit nerdy in its style and artwork, this is a fun read. "The Red Lemon" is a classic in our home. I love the graphic-arts feel to this book. Its geometrical simplicity, patterns and bright colors make this book stand out. This book tells a story of a castoff red lemon that doesn’t fit the yellow mold. It’s a modern day “one man’s trash is another man’s treasure” story. The rhythm and rhyme of the words is catchy and fun, and when my oldest son was 2, he had it memorized — and I did too. This book about a little monster and his mama and how he knows she loves him captures the adventures and fun of toddlerhood and the fun of motherhood. My kids love it because it includes some of our favorite things to do together with a little bit of spooky mixed in. This is another book I have memorized, and I also own a signed copy. 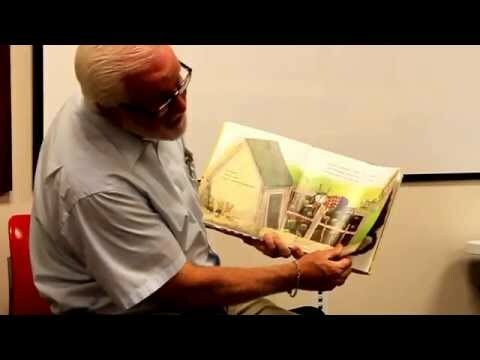 Illustrator Mark Buehner lives in Salt Lake City and has been known to visit book fairs and local elementary schools with his wife, author Caralyn Buehner. A wonderful book about the beauty of friendship, its simplicity captures more feeling than I can articulate in twice as many words. Friendship can last through the seasons of life, and friends can pick up exactly where they left off. Friends can always hold a place in your heart and memory, and they can teach you lessons that change you. The watercolor pictures are beautiful. Alison Snyder has a bachelor's degree in print journalism from Brigham Young University. She lives in St. George, Utah.